Tender Support is a customer support application that allows users to create public forums and discussion boards that can be shared with all their website visitors. One of the easiest ways to use our services and Tender Support is using our Records Templates. They allow you to create the necessary records in your Master DNS Zone. 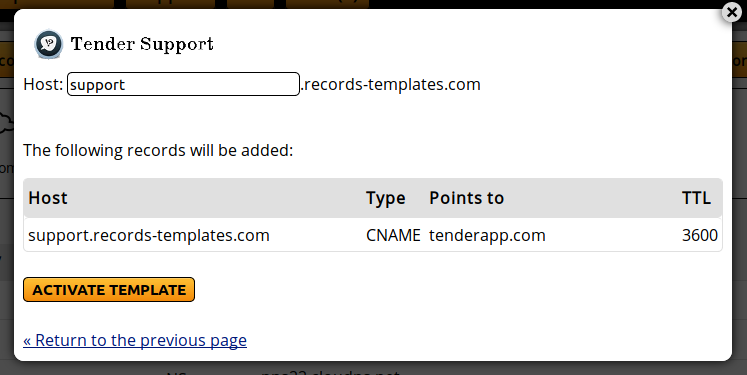 From the orange boxes, click on "Tender Support".